Just a few of our great artists! Lots of wooden phrases available! 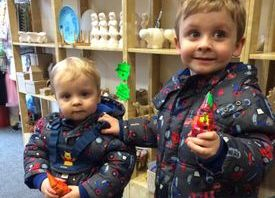 At The Craft Cabin E4, we ensure we always have a large range of items to chose from, introducing new items and activities regularly. We use quality paints and materials and our staff are always on hand to help you when needed. There is no restriction on time, so why not make a day of it! You can reserve a table and do as many arts & crafts as you wish, have a bite to eat and the kids can finish of by having some fun in our play area! 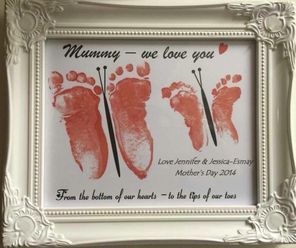 On a daily basis we can help you to create personalised gifts and keepsakes for you or your loved ones. They really do make great unique gifts! We have various items that can be personalised and most items available to collect within 48 hours of order. Some can even be created and completed in the same day! Please look a out gifts & keepsakes page for more examples. 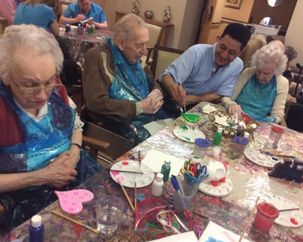 The Craft Cabin E4 can attend an event or come to do arts & crafts in your establishment! 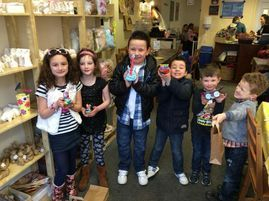 We have ran workshops in residential homes and attended local events, where we have provided ceramic painting, jute bags, teddy making or maybe you would also like face painting by our experienced face painter! 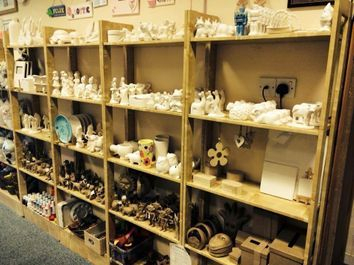 We regularly attend fetes and like to support the local schools and community where possible. So any enquiries, please just call us and ask, we will always try to accommodate!